You've probably heard the story about the contest to name a research vessel in England. 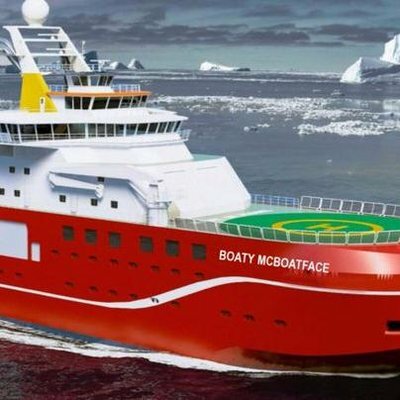 Last March, the U.K.’s National Environment Research Council opened a poll up to the public, asking that they come up with an “inspirational” title for its new ship. And the title they came up with was Boaty McBoatface—by a wide margin. It received over 124,000 votes, more than four times as much as the runner up, Poppy-Mai. I don't think there's a single person in the whole world who doesn't think this is totally awesome! Unfortunately for voters, however, their chosen name probably won’t make it onto the ship. “You won’t be surprised to know that we want something that fits the mission and captures the spirit of scientific endeavor,” U.K. science minister Jo Johnson told the Telegraph, suggesting that ministers won’t endorse the winning name. A small group of people are given a special status, above and beyond the wishes of the voting public. They have the power to overturn the will of the people and select whatever THEY deem appropriate! And this is the reason I absolutely HATE that the Democratic Party has that stupid super-delegate system! Today, for the first time in a very long time, I was given the opportunity to cast my vote for someone with whom I agree with philosophically pretty much across the board. In 2008, I was disappointed when I never had the chance to vote for Dennis Kucinich, whom I always referred to as "the conscience of the Democratic Party". He dropped out of the primary race early on, after a poor showing in New Hampshire. 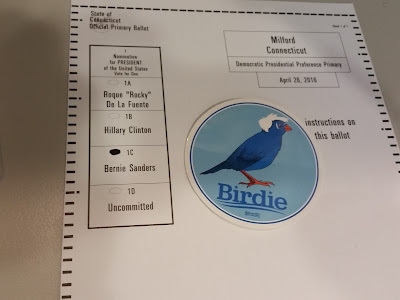 I ended up voting for a somewhat conservative Democrat in Connecticut's primary and again in November, who had an amazing amount of support and momentum. And while I've disagreed with a lot of things he's done in the last eight years, I feel that we still ended up with a better leader than his opponent. 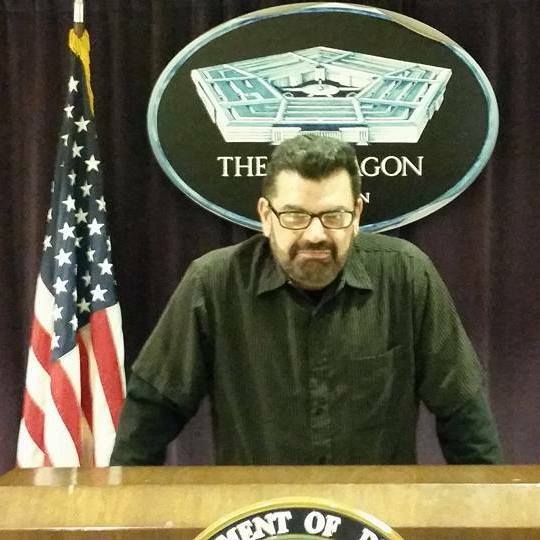 This time around, the candidate who most clearly represents what I want for our nation is still in the race. And there's an admittedly slight chance that he might even somehow win the nomination. And I got to vote for him. The thing to keep in mind is that even if Bernie Sanders doesn't win the nomination, it's important for Democrats to vote for him right up through the California primary two months from now. Because, with as many delegates as he'll have at the convention, Sanders will have a positive effect on Hillary Clinton's policies and stances on important issues. That's what I'm talking about when I mention the conscience of the Democratic Party. We've strayed quite a bit from what we may one day become, but a candidate like Bernie Sanders is helping, in no minor way, to steer us back on the path of the righteous and the good. That's what I'm calling it. Today (April 26th) is the day of the Connecticut, Delaware, Maryland, Pennsylvania, and Rhode Island primaries. Altogether there are 384 Democratic delegates up for grabs (along with 78 super delegates who are 90% in the bag for Clinton), and 172 Republican delegates to be won. The Connecticut race is interesting, with recent polls showing Bernie Sanders catching up with Hillary Clinton, although it's likely that Clinton will squeak by in the vote count. No matter, because Sanders needs a landslide to make a significant gain in delegates. All of today's Democratic races award delegates proportionally to the popular vote, so even a 10-point win by Sanders won't gain nearly enough delegates to make a dent in Clinton's lead. Just kidding!!!!! I know if I did that, a bolt of lightning would zap me the minute I left the polling place! Speaking of Trump, I take real pleasure in watching the Republican party in it's final death throes, as they thrash around mindlessly seeking a way to block Trump's almost guaranteed nomination. Trump is the end result of the conservative media endlessly hammering their viewers with enough ultra-right wing propaganda for the last 20 years to the point where they'll support anyone who agrees with what they've been conditioned to believe! Congratulations Koch brothers, you've managed to destroy the party you were trying to support! No matter who you like in the primary, get out there and VOTE! It's important, and it doesn't cost you anything other than a few minutes of your time. That's a lyric from a "Little Feat" song. I just felt like using it here. Still missing Lowell George. His voice was unmistakable. Both Donald Trump and Hillary Clinton are celebrating a big win in the Empire State tonight. Trump, probably more so, because the Republicans have a "winner-take-all"
proportional system in NY, so Trump by winning so massively will receive almost all of the state's 95 delegates. As of 11:15 pm election night, Trump has a total of 840 of the needed 1,237 for the nomination. I doubt he'll fail to reach that number when the primaries end on June 7th with the huge state of California and the important state of New Jersey and three insignificant states somewhere out west. I'm just kidding! There's nothing insignificant about New Mexico, South Dakota and Montana. Unless you're talking about the average I.Q. rates. Oh, there I go again! Hillary Clinton won a roughly 60-40 split in the voting, expanding her delegate lead in the road to the inevitable nomination. I'm fairly resigned to that fact, but that wouldn't have stopped me from attending the big Bernie Sanders rally in New Haven this Sunday if I didn't have to pull a double-shift! We just lost a guy on the Connecticut crew, so we're expected to pick up his work until they hire a new guy. Anyway, next week's Big East primary (that's what I'm calling it!) features Pennsylvania, Rhode Island, Maryland, Delaware, and our own Nutmeg State. I'm looking forward to voting for Bernie even though he's likely to lose here in Hillary's backyard. But at least I will get to vote my conscience. I was denied that opportunity in 2008 when Dennis Kucinich had dropped out by the time of our primary, leaving me to vote for Obama over Clinton. At the time Obama was marketed as an engine of change, but I pretty much knew how conservative his leanings were, and I wasn't surprised when so many of his election pledges turned out to be either watered-down, or not even enacted. Guantanamo is still is business, right? And Obama pulled Single-Payer off the table before the conversation even started. With Bernie Sanders, I have no doubts about his convictions. So even though it'll probably be a waste of time, my vote next week will signify in some small way that not everyone is on board with Clinton's agenda. If enough of us vote this way, we may have a voice at the convention and the ability to shape the Democratic party's platform. Even that would be something positive out of all this. Results from yesterday's Wisconsin primaries have tightened up both races for the nomination. Ted Cruz, the daywalker who survives by stalking and devouring toddlers (possibly not true) easily won the state and nearly ALL its delegates in the winner-take-all contest; a few delegates were awarded to Trump based on Congressional district results. Yeah, I know it's confusing. But Trump still has a big lead, and there's little doubt he'll expand upon it in the upcoming New York primary. And on the Democratic side, while losing the primary Hillary Clinton was once again gifted a significant number of delegates due to our party's insistence on using proportional allocation of delegates rather than the winner-take-all method which our nation has used in presidential elections for more than 200 years. Maybe some day we'll start doing it right, but I'm not holding my breath. Plus, super delegates! You all know how I feel about them. No need to go off on yet another rant. Regardless, Bernie Sanders did sweep to an impressive victory in the weirdly simultaneously liberal and conservative state. Bernie won by roughly 13%, which is a significant margin and may have been helped by Wisconsin's "open primary" rules, which allows registered voters of any affiliation to vote in either contest. So Bernie may have had help from independent voters, and possibly the odd Republican or two, although I see those guys as too invested in the Trump-Cruz battle to waste their vote on a liberal senator from Vermont. The independent vote is going to be decisive in the November election, and Bernie's performance was significant in that respect. There's a meme going around Facebook right now that basically says "For every bad decision Congress has made for the last thirty years, you will find a video of Bernie Sanders trying to stop it". THIS is why I support him and want to see him as our leader. There is absolutely NO question that Clinton has often landed on the wrong side of some very significant issues, and I just don't see her changing if she gets to the Oval Office. My apologies to all my friends and acquaintances who support Hillary. I'm all for a woman president; it's just I'm not sure that she's the best candidate to represent our interests. On being an irritant to the Democratic frontrunner. Apparently the Hillary Clinton campaign is running out of patience with the upstart Bernie Sanders campaign. In an article on the Telegraph, writer David Millward discusses how the Sanders campaign will continue to bother Clinton right up to and probably through the Democratic national convention. Bernie Sanders was on the cusp of being declared the winner of the Alaska caucus when the email from Robby Mook, Hillary Clinton’s boyish campaign manager, arrived. It was short and to the point. The Clinton campaign was being outspent by thousands upon thousands of supporters chipping in a few dollars here and there for the insurgent self-declared Socialist senator from Vermont. In just three paragraphs the message combined optimism with irritation that he was still in the contest. Mrs Clinton may still enjoy a healthy lead among the delegates who will choose the Democratic presidential nominee at the party’s convention in Philadelphia in late July, but she is finding Mr Sanders impossible to shake off – and he has made it pretty clear he is not going away any time soon. Currently Hillary is leading in the delegate count, and she will likely continue to maintain that lead unless there's a seismic change in the voters' perceptions of the candidates. Which is a possibility, but getting more remote after each primary. Even with good showings in states like Wisconsin and Wyoming, Sanders will have to concede a number of delegates even if he wins. The Republicans are fond of the "winner-take-all" contests, but the Democrats use a proportional division based on voter preferences, and occasionally a weird system that uses elected, alternate, and unelected alternate(!) delegates. With New York's big primary coming up soon, Clinton will pad her lead some more, although Sanders has done a good job cutting into her lead in the polls. Regardless of who "wins" that contest, Hillary will definitely add to her delegate totals. So why does Sanders insist on staying in the race? Many of the most ardent Clinton supporters have some reservations about their candidate. While they are loyal to Clinton and see her becoming the first woman president as the most important civil rights achievement of the new century, they certainly can't agree with everything she says or does. Sanders is helping bring Clinton back towards the center, where she'll have the best chance in the upcoming general election. Sanders ain't going away. Clinton Democrats will have to deal with that fact. At the terrible risk of being labeled a "Bernie bro" by avid Clinton supporters, I decided to post this video from comic Sarah Silverman. She explains clearly why she supports Bernie Sanders over Hillary Clinton. Will I support Hillary Clinton if she wins the nomination? Yes, of course. Hillary is significantly better for us than the very best Republican candidate in this race. But do I want to see our nation led by a person who isn't beholden to the special interests? BTW, what's with the term "Bernie bro"? Is there a similar "insult" for Clinton fans that won't result immediately in labeling the person wielding the phrase a woman-hating anti-feminist misogynist? Or are Sanders supporters just supposed to take their lumps because, you know, they happen to believe their candidate (a man) will better represent them then the other candidate (a woman) who receives millions and millions from special interests? Until people make it about gender. C'mon, let's elevate the discussion, and leave gender politics out of it!